Chickadingding, Fleeble, Gullysplot, Plob. “Why, the good people of Rock Paper Shotgun have finally lost it!” you might cry. But these nonsense words are poised to become household names. They’re the names of a selection of Ooblets, the titular cutesie creatures of Glumberland’s upcoming town life indie game. If you’ve seen any of the grassroots marketing behind Ooblets, you already have an idea of the charming, laid-back world it’s attempting to create. 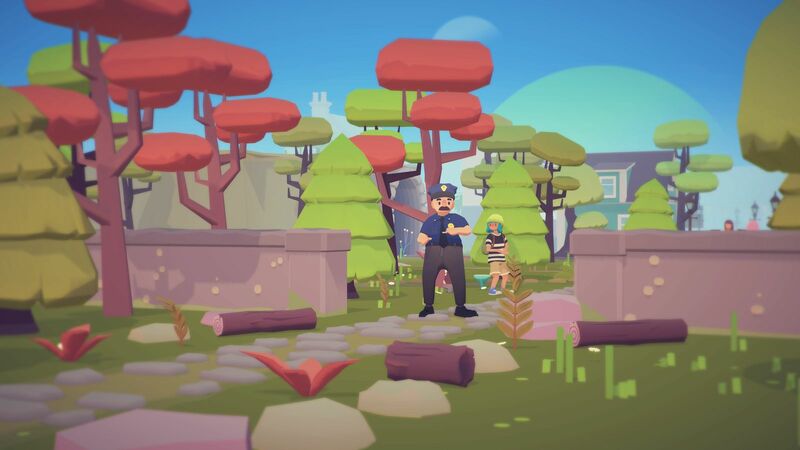 You can easily see sprigs of Pokémon, Animal Crossing and Stardew Valley in its garden, but that’s not to say it isn’t making any meaningful strides of its own, experimenting with and riffing off the features it’s drawing influence from. Clever design decisions have been made during the iterative development process, which is well documented on Patreon. The combat might be the most significant departure, shifting from a traditional, Pokémon-style battle phase into a unique, non-violent card-based dance battle. Your little critters have a defined set of disco moves that they can unleash on opposing Ooblets, shaming them into backing off when they realize they’re not ready for this jelly. Upgrades add more cards to an Ooblet’s deck and status effects probe strategic thinking from players. 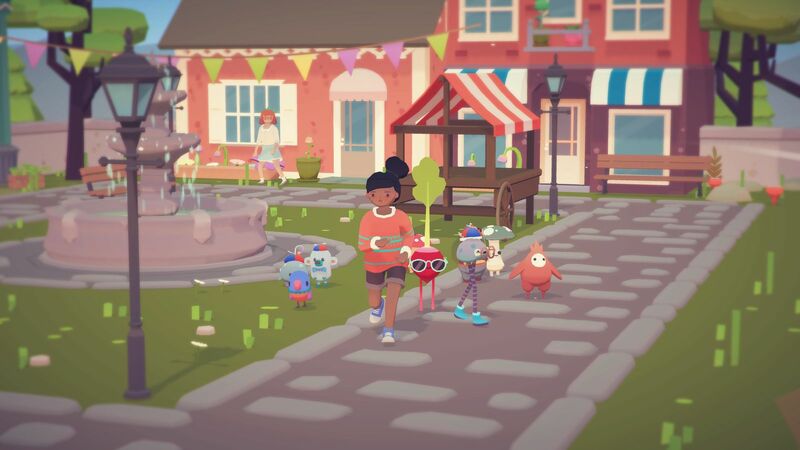 Cordingley also cites “growing Ooblets and shopkeeping” as key features that push Oooblets away from its forerunners, as well as the distinct otherworldly setting of the game. Current locations range from the floating town of Port Forward to Kibbon, which is described as a “mythical creature that’s a mixture of a kitten and a gibbon.” Just how you’ll explore that particular environment is left up to your imagination, for now. Both Rebecca and Ben are self-taught game developers, embarking on the ambitious project just two years ago. 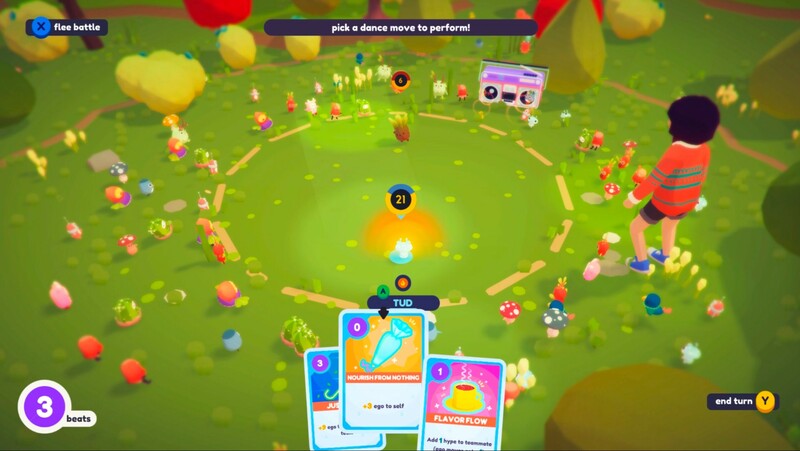 They aren’t afraid to bear their heart and soul with Ooblets either, letting passion and personal taste drive what appears in the world, rather than convention. During the prototyping phase for Ooblets, the first sticking post was the visual style, something they wanted to curate before building the rest of the game. “I remember the first thing Rebecca made was a little scene with a couple plants in it, ” Wasser tells me. “Then we made a random creature for it, which I believe was what has now become Unnyhunny.” Unnyhunny, if you haven’t got your Oobledex on hand, is basically an onion with a running headband on. It is adorably plump, wears shiny red boots, and has a warming aura about it that demands protection. Ooblets,at this stage of development, is mostly caught up in this inviting, idiosyncratic art design. “We usually just have a rough idea of a type of creature we think would be cute like a cactus or lil’ grassy guy, or a bear wearing pants, and I’ll either just throw it together in Maya pretty quickly, or one of our freelancer friends will sketch out a concept,” Cordingley explains. “I worry a LOT about the writing. It’s pretty difficult to figure out how to balance normal character dialogue and jokes, and then balancing jokes that I think might be funny with what other people might think is funny,” Wasser explains. “A lot of the humour that might work at expos and on Twitter might not work as well for kids playing at home, so I’m constantly reworking my approach.” Despite Wasser’s worries, the game is attracting a wide audience, with GIFs and quips from Ooblets gaining substantial traction on social networks like Twitter, catapulting Rebecca and Ben’s zany world into the public eye. “Social media has honestly been everything for us. Without the audience and positive reinforcement loop that they provide, we’d have given up on Ooblets within a month or two. We don’t have an advertising budget or marketing team, so it’s just us sharing what we’re doing that’s built up whatever buzz the game has,” says Wasser. This positive buzz got the attention of many interested parties, leading to a publishing agreement with Tim Schafer’s company Double Fine, and help from a variety of talented freelancers. Despite the onslaught of pressure brought on from the mainstream spotlight, Rebecca and Ben are keen to stay grounded, and, most importantly, to keep having fun with the passion project they embarked upon many moons ago. Tagged with Double Fine Presents, feature, Glumberland, interview, Ooblets.